The aim of SIRENE is to speed up the security and rescue operations of various actors in urban areas. This is done through the provision and capture of traffic data as well as new data-based applications. 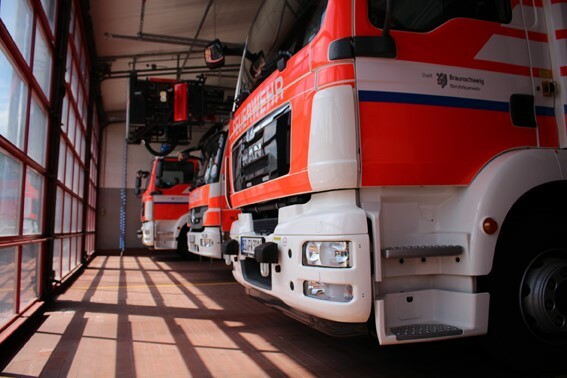 Initially, the project optimises the routing of emergency vehicles. By using historical data, up-to-date data and simulations, it is possible to predict the traffic situation in the near future in order to include short-term changes in the routing and optimise deployment coordination. In a further project step, the crossing of the urban area is to be shortened by switching traffic light systems as required. For example, a green wave across multiple intersections is one such prioritisation. Improve strategic decision-making on the use of a variety of existing data sources and provide advanced traffic data. An optimised routing for security and rescue forces is provided. Optimised control of traffic lights, such as Green Wave Prioritisation, will enable faster passage of security and emergency services through urban areas.